Princess Claude of France was the eldest daughter of King Louis XII of France and his second wife, Anne of Brittany. She was born on October 13, 1499 in Romorantin-Lanthenay. Though her parents did not have a marriage of true romance, as their marital union had been the result of one of the terms on Anne’s marriage contract with her former spouse, King Charles VIII, they did respect one another. Since Claude’s mother was the Duchess of Brittany in her own right, the fate of her children, her heirs, would determine the future of the independent duchy. Claude was named after a saint her pregnant mother had prayed to during a pilgrimage, Claudius of Besançon, in the hopes that she would finally be able to produce a healthy, living child. Her previous marriage with her husband’s predecessor, Charles VIII, had resulted in seven failed births. So, when Claude was born healthy and alive, her mother showed her thanks by naming her child after the saint she believed blessed her child with life. At the time of Claude’s birth, her father was away fighting in Italy but he returned a month later to attend her christening. 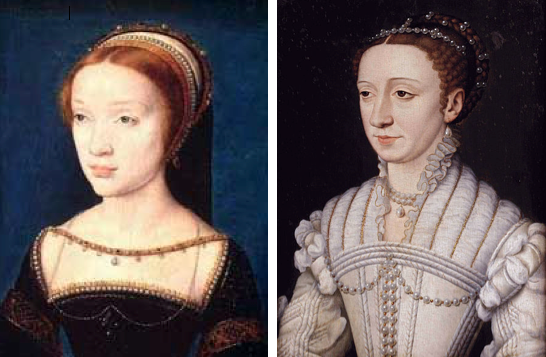 After Claude, Anne would become pregnant eight more times but only one of these pregnancies in 1510 resulted in another healthy, living child – a daughter named Renée. So, between Anne’s last two marriages (she was actually married three times but she never became pregnant during her first marriage), she was with child a total of sixteen times and ultimately only had two daughters that lived past infancy. Claude had the typical, pampered lifestyle of a princess at the royal residence of the Château of Blois. Since she was her parent’s only child for some time, they cherished her above anything else, especially her father, who adored having her in his presence. Claude loved both of her parents and while she enjoyed being in her father’s company, especially when he took her hunting with him, she looked up to her mother as her own personal idol. Anne of Brittany was certainly an unconventional woman for her day; she was a strong, independent, pious, and obstinate Queen, as well as a successful ruler in her own right. 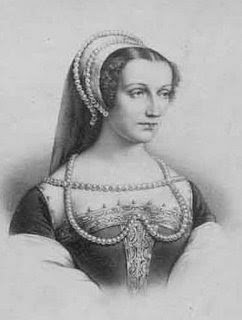 When Anne and Louis had married on January 8, 1499, a marriage contract had been drawn up stating that Anne’s children would singularly inherit the Duchy of Brittany. Once it became clear that Anne would have no sons, both Claude and her parents knew that upon her mother’s death, Claude would inherit the duchy and her mother’s title. So, although her father loved her dearly, he was ready and willing to use her as a chess piece in royal game of marriage. 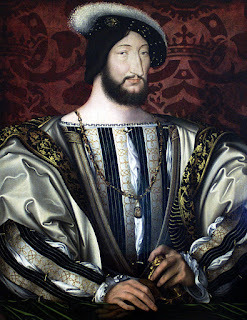 Since Louis had no male heir and Salic Law prohibited a woman from inheriting the crown, his successor was his second cousin once removed, Francis d’Angoulême, the son of the Count of Angoulême and Louise of Savoy. Louis wanted to marry his daughter to his heir, as it would ensure that his descendants would inherit the throne and that the Duchy of Brittany, Claude’s inheritance, could be tied to the French Crown. Anne, who wanted nothing more than for her duchy to remain independent, was strongly opposed to the match and wanted her daughter of marry the future Charles V, Holy Roman Emperor in an attempt to ensure that Brittany remained out of the Crown’s hands. But although she argued extensively with her husband over the matter, Louis was dead-set on marrying Claude to Francis. Thus, he made a secret pact in April of 1500 without his wife’s knowledge that cemented his daughter’s future with Francis. Francis knew that by marrying Claude, he would be hitting the marriage jackpot. Claude was an extremely wealthy heiress, whose inheritance consisted of Milan, Asti, Naples, the duchies of Brittany and Burgundy, and the county of Blois. Not to mention that his marriage to her, the King’s daughter, would only serve to strengthen his accession to the throne. When Louis became gravely ill around 1505, he feared for his life and, although he recovered from his illness, he decided to reveal Claude’s betrothal to Francis officially, so if he died, no one could change her fate. In May of 1506, he added Claude’s engagement to his will. He also stated that Claude could not leave the kingdom until she married, making it impossible for her mother to take her away. Anne was so enraged with her husband over the matter that she left court to take a five-month tour of Brittany. Anne never reconciled with her daughter’s marital destiny, even on her deathbed. Anne’s health had been severely weakened by her countless, difficult pregnancies, and she died from a kidney-stone attack on January 9, 1514, just weeks away from her thirty-seventh birthday. Her passing devastated Louis and her daughters and they gave her a grand, forty day long funeral before she was buried in Saint Denis Basilica. 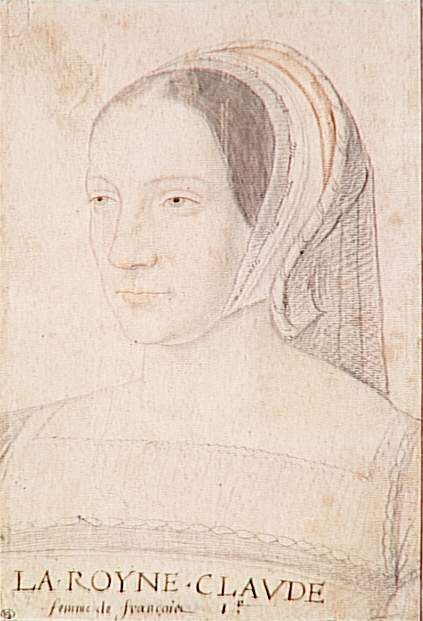 With her mother’s death, Claude was now the Duchess of Brittany. Louis, who was in poor health, knew he didn’t have much time left to live. So, he decided that it was time for his daughter to marry Francis. 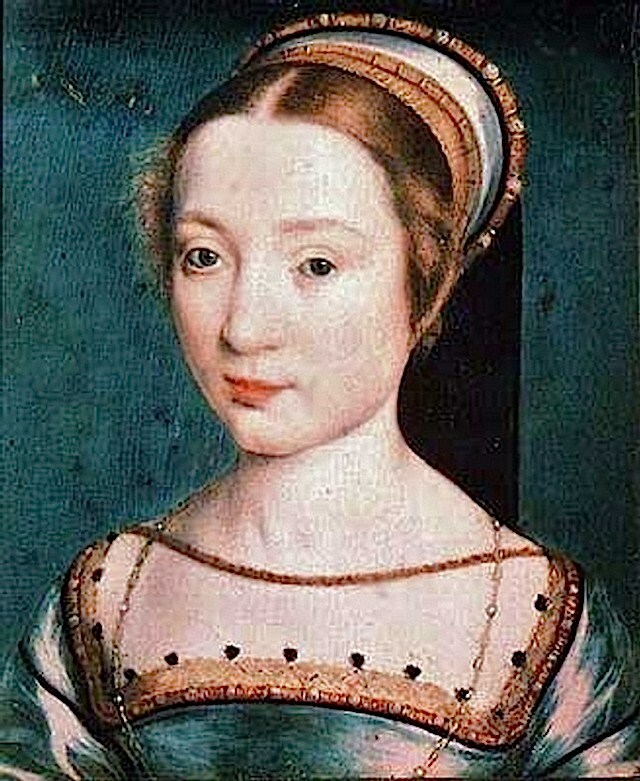 Just four months after her mother’s death, the fourteen year-old Claude married the nineteen year-old Francis (her second cousin) on May 18, 1514 at Saint-Germain-en-Laye. The ceremony was quite depressing and grim, as the court was still in mourning for the recently deceased Queen. Claude, her grief still raw over her loss, cried during the whole affair. Since both husband and wife were essentially strangers to each another, genuine love and affection was not present at the start of the marriage, as was typical with most royal matches. They saw their union as nothing more than their duty to their country. Francis was a young, handsome man (though he was known for having a rather large nose) and had a reputation as a notorious ladies’ man. The morning after the wedding, he left his new wife to go hunting and gallivant about with other women. Francis was most likely unimpressed with his bride’s features as well. Claude was described as resembling her mother in that she was small and thin with a sickly complexion, crossed-eyes, a slightly hunchbacked frame, and degenerative hips (the result of scoliosis and claudication). But the couple’s happiness was not a matter of importance to the King – what was important was the fact that the marriage secured the Duchy of Brittany’s fate of being tied to the Crown. Five months after the wedding, the aged Louis XII married for a third time to the young and attractive Princess Mary Tudor, the sister of King Henry VIII of England. The match between the fifty-two year old King and the eighteen-year-old English beauty was a last-ditch effort for the King to produce a male heir. But his effort was futile, for Louis died just short of three months after the wedding. Thus, on January 1, 1515, Francis I became the new King of France with Claude as his Queen. 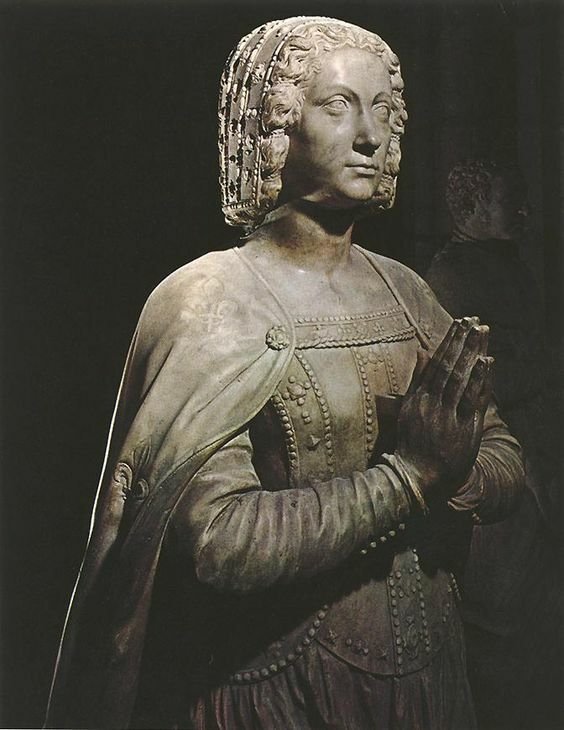 Claude was crowned as the Queen of France at St. Denis Basilica on May 10, 1517. Although Claude was criticized for her physical appearance, she was praised for being the ideal queen. According to the Austrian ambassador to France, she “compensated greatly for her lack of beauty” with her “strange corpulence and her grace in speaking”. She was well known by the French people as a sophisticated, munificent, and devout woman, just like her mother. But, unlike her mother, she was easier for her husband to handle, as she was a submissive, unobtrusive, and affable consort who took no interest in politics, just as the ideal wife should behave at the time. She did become involved in the arts, as she helped supervise the building of Renaissance architectural monuments and promoted illustrated manuscripts. However, due to her quiet and subservient nature, it was difficult for her to stand out at court. She blended into the background against her virtuoso husband, oppressive mother-in-law, Louise of Savoy, and eccentric sister-in-law, Marguerite de Navarre. Also, since her husband never loved her in a genuine romantic sense, he stayed true to his womanizing character and flaunted his many mistresses at court, especially his favorite, Françoise de Foix, Comtesse de Châteaubriant. But in the face of all this tension and shame, Claude remained dignified and uncomplaining. Claude delivered in her principal and only meaningful duty as a queen –that of bearing children. During her ten years of marriage to Francis, she produced seven children, four daughters and three sons. Since Claude was constantly pregnant, she made few public appearances, as her condition made it difficult for her to travel or perform in ceremonies. She had never been of robust health and her incessant pregnancies only made her weaker with each birth. Her pregnancies were so difficult and her health so fragile that her coronation ceremony occurred two years after her husband took the throne. Because she was almost always pregnant, she became plump, which made her a constant source of mockery for her husband’s courtiers. Though she was respected by her people, the nobles of France were less inclined to her, as she was nothing like the dominant personalities of her husband’s family and was disliked by her mother-in-law (who Francis chose to serve as his regent whenever he was away, instead of his wife). Louise of Savoy bullied and teased poor Claude, who could do nothing but take this abuse quietly. Claude did make one important public appearance at the Field of Cloth of Gold meeting between Henry VIII of England and Francis in June of 1520. The meeting, which took place in Balinghem, was intended to improve relations between the two rival monarchs but instead, it was remembered as an extremely lavish and pomp affair where each king tried to outshine the other with clothes, feasts, games, and more. Claude and her English counterpart, Queen Catherine of Aragon, were modest and tactful during the entire event, unlike their colorful spouses. During Claude’s later pregnancies, she became more incapacitated due to her weight and limp, both of which became more pronounced with time. Her health eventually grew so poor that she had to withdraw from public life almost entirely. She moved her small, private court to Blois where she spent most of her time with her ladies, including the famous Anne Boleyn, whose future would be doomed by her love affair and marriage with Henry VIII. Claude, in her near isolation, became more depressed as her health plummeted. It is possible that she was so weak because she was suffering from syphilis, which her husband most likely gave her as a result of his numerous affairs with other women. Claude’s last birth in 1523 of her daughter, Marguerite, caused her physical downfall. The effects of all her straining pregnancies, her naturally poor stature, and the fact that she was also probably ill with syphilis in her final years brought about her early death on July 20, 1524 at her home of the Château de Blois, the same place her mother had lived and died as well. Claude was only twenty-four years old at the time of her death and she left behind six young children (the eldest, Louise, had died years before), the oldest being seven years old and the youngest just a year old. Francis, despite the fact that he never loved his wife passionately, was moved by her death and gave her a grand funeral. She was buried in the Basilica of Saint Denis along with her late parents and other members of French royalty. Francis wrote to his mother after Claude’s death that he never thought that the sacred bond of marriage would be so hard to break (a rather astonishing thing for a man who was known for his infidelity to say). Francis would marry again but not until 1530, when he wed the sister of Emperor Charles V, Eleanor of Austria. The marriage produced no children and Francis, who preferred the company of his mistresses, largely ignored Eleanor. Francis I died on March 31, 1547 at the age of fifty-two, probably from syphilis, and was buried with his first wife. Only two of Claude’s seven children survived past the age of thirty. Her first daughter, Louise, died in infancy while her second, Charlotte, died just three months after her mother at the age of seven from an attack of the measles. Upon Claude’s death, her duchy of Brittany passed to her eldest son, Francis. 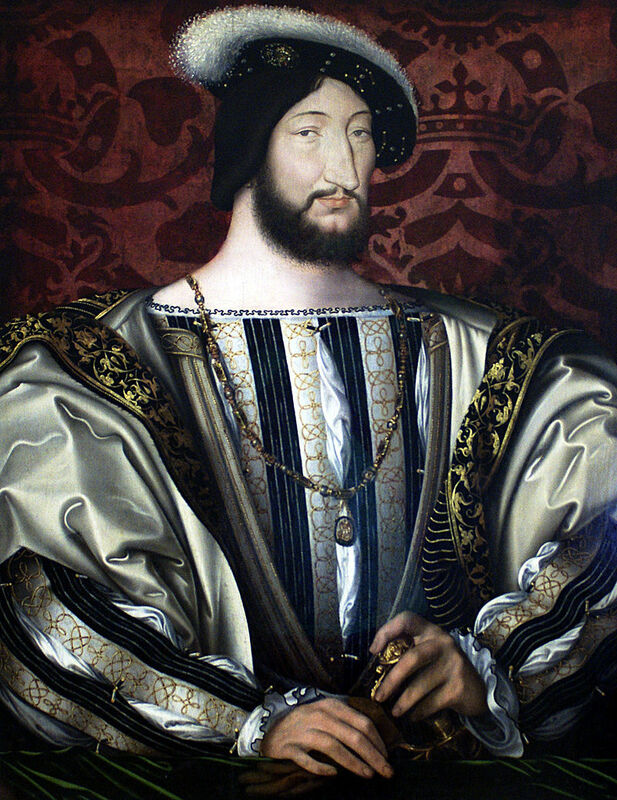 However, his term as Duke of Brittany didn’t last for long, as he died in 1536 at the age of eighteen under mysterious circumstances (it was said he was poisoned but the real cause of his death was almost certainly tuberculosis). So, the dukedom passed to Claude’s next child, her son Henry, who succeeded his father as king upon his death, thus finally uniting Brittany and the Crown permanently. Henry II would reign for a little more than a decade and married the Italian Catherine de’ Medici, who he had ten children with (which included three kings of France, a Queen Consort of Spain, and a Queen Consort of France). Claude’s eldest surviving daughter, Madeleine, married King James V of Scotland when she was fifteen. The couple had a short and loving marriage until Madeline’s early death just seven months after the wedding from tuberculosis (she inherited her mother’s poor health). 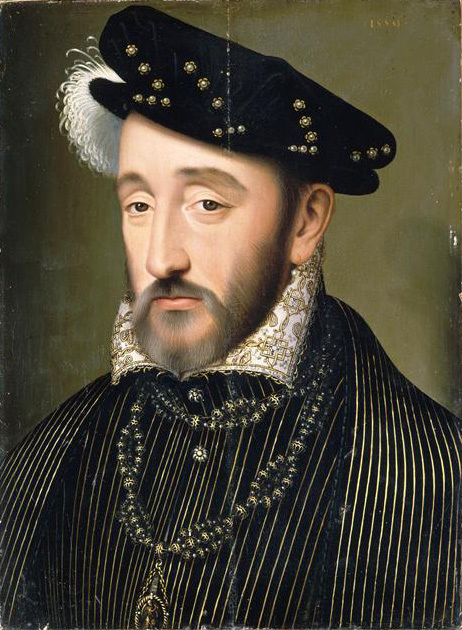 Claude’s youngest son (and his father’s favorite), Charles, became the Duke of Orléans after the death of his oldest brother, Francis. He was known for his wild antics, his love of jokes and pranks, and his extravagance. However, he never married or had children, as he died in September of 1545 at the age of twenty-three. Rumors spread that he had been poisoned because he was on bad terms with his brother, Henry, but most decided that the “plague” had gotten to him since he had recently and boldly entered an influenza infected house days before his death. 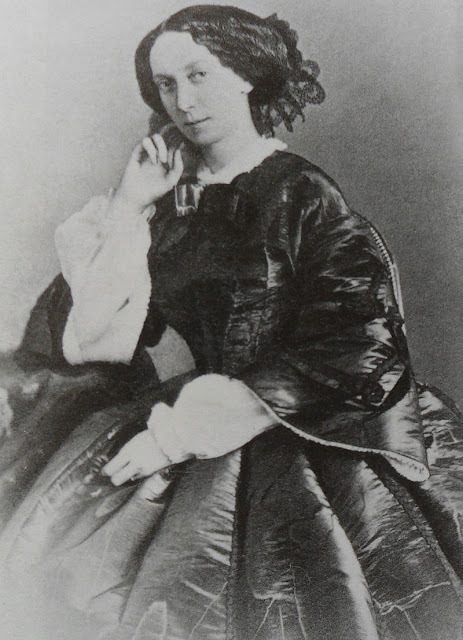 Claude’s youngest child, her daughter Margaret, became the Duchess of Berry in her own right at the age of twenty-six under her brother’s reign. She was considered to be a spinster at the time of her marriage to Emmanuel Philibert, Duke of Savoy, as she was thirty-six years old. Despite her age, she managed to have one child with her husband two years after the wedding – Charles Emmanuel I of Savoy. Charles Emmanuel (whose nickname was “the Hot-Headed”) would succeed his father as Duke of Savoy and married his first cousin once removed, Infanta Catherine Michelle of Spain, who he had ten children with.